Habaki : Gold color single copper Habaki. Blade length :　67.0　cm or 26.37 inches. Shape : Osuriage Mumei Katana, regular width and thickness. The Kissaki is long, nice shape Katana. 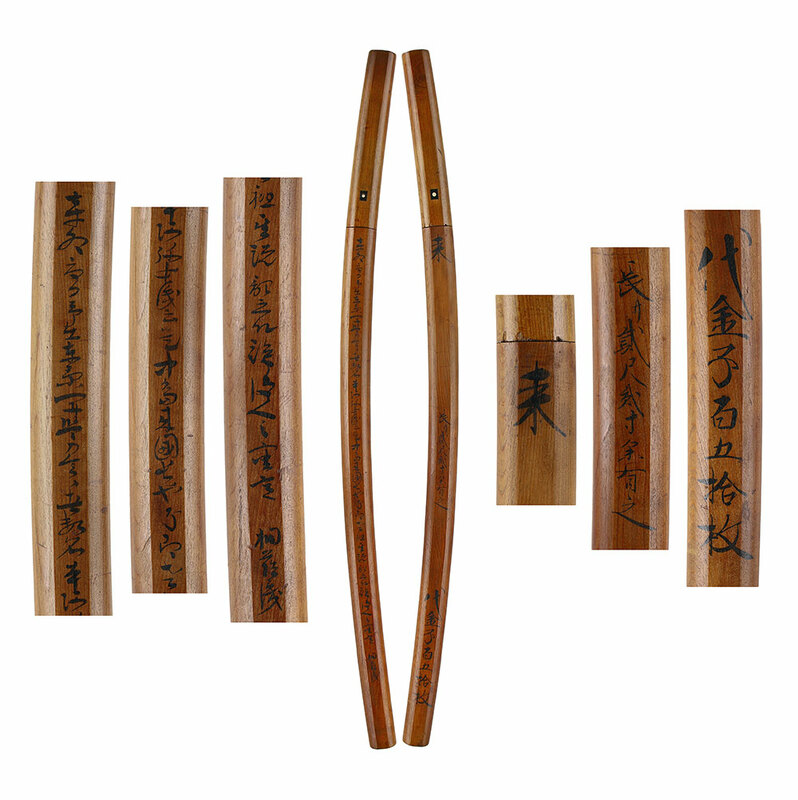 Hamon : Ko-Nie Deki, rouned Ko-Gunome Midare with deep Nioikuchi. In Ha, there are many Sunagashi, Kinsuji, Ashi and Yo. a son of Rai Kuniyasu. Morihiro clan continued four generations. a thousand generations and a crane by word for word translation. and the sword by Chiyozuru school has been used as a gift of a matter for congratulation. 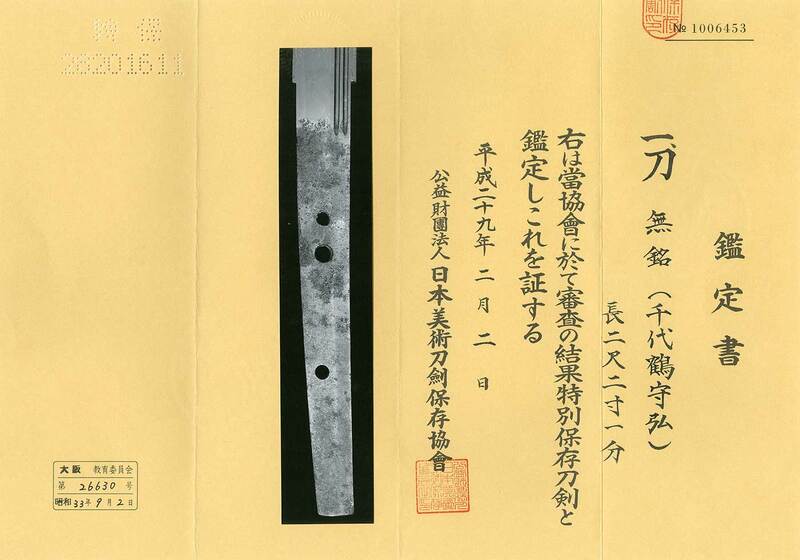 From the shape and work, this blade was made around Nanbokucho period. This Sayagaki says “Rai” and “Rai Kuninaga”. It was also called Echizen Rai. Saya : Black Kawari Nuri Saya. Tsuba : Mokko shape iron Tsuba, dragon is engraved. The rim is covered with Shakudo. Fuchikashira: Kojiri: Kurikata: Brass with Nanako pattern. This blade has many works in the Ha. The Hamon is Ko-Gunome Midare with thick Niokuchi. the Ko-Ashi is soft, there are many Yo. It also seems to have Rai school atmosphere.